Why can't everything that I want to buy just be at Walmart and on some sort of awesome sale? That would be too easy. 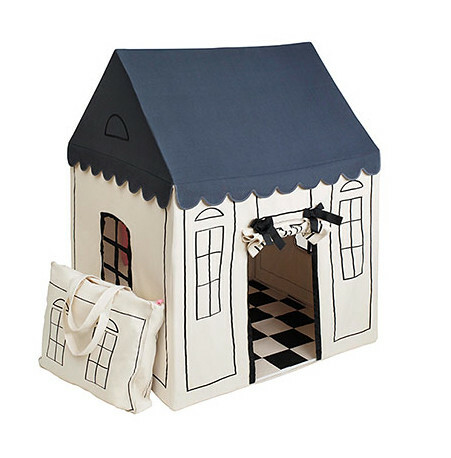 I want to buy/make Ben a little playhouse for Christmas...and I want this one SO BADLY. Of course, it's through H&M Home which is not even in the US yet, let alone way up here in Canada with the igloos. Ugh. So, I'm hoping that someone I know somewhere can track one of these down for me...otherwise I'll have to make something myself. I don't want one of those over-the-kitchen-table jobies. So, we'll see. Side note: There should be a website where you can post things you want that are not available in your country and some good samaritan somewhere agrees to buy it for you and ship it to you. Sure, it would be on some sort of honour system and people would get scammed by the thousands, but MAYBE it would work sometimes, and that would be amazing. Oh my word!!! I bought this for my daughter today, it's so cute💗💗💗 . I live in England and if you would put ur trust in me I would ship one of these to u for no extra charge just the price of the playhouse plus shipping. I know it's hard to trust these days. But I have three children and I know what it's like to want something for them. And maybe some day they maybe some I want where u are. Sorry that's maybe something I want where u are! I was googling it right now to see if it became available and it lead me to your awesome blog. Now I'm following and through instagram too! Nikki is a wonderful human being.